Yellow color reminds you of sunshine, daffodils, songbirds and gold. The yellow color brings cheer and happiness into your minds. 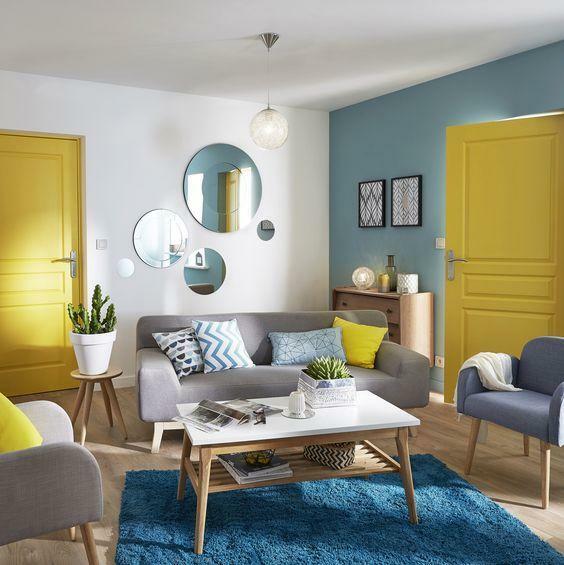 If you are tired of the regular dull and dark shades inside your home and want to introduce some harmony and cheer, then you should look out for some bright and cheerful colors that can adorn you home interiors. Yellow is the most cheerful color, but is rarely used in the modern décor. 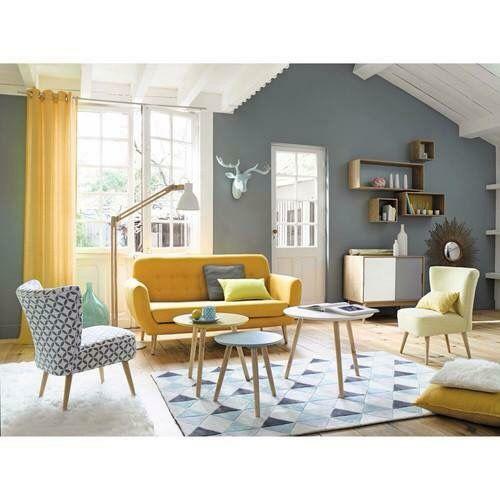 The reason being yellow color is bold and adventurous or maybe yellow living room décor is hard to find. Yellow color is bright and when it is combined with a contrasting color it makes the surrounding cheerful. 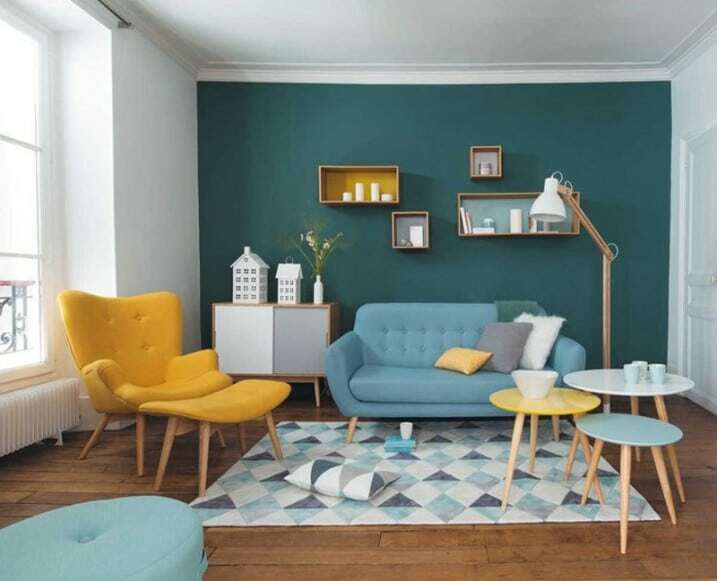 With the right combination of colors you can convert your regular and dull looking living room into a cheerful area inside the house where you can rejuvenate your minds. 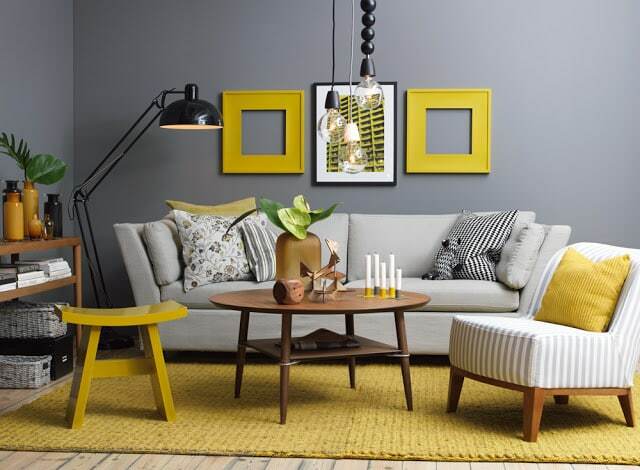 You don’t have to design yellow furniture ideas or convert the whole home décor yellow. You can enrich the living space by using yellow details on various home décor items like cushions, curtains, wall paintings, sofa and chair. 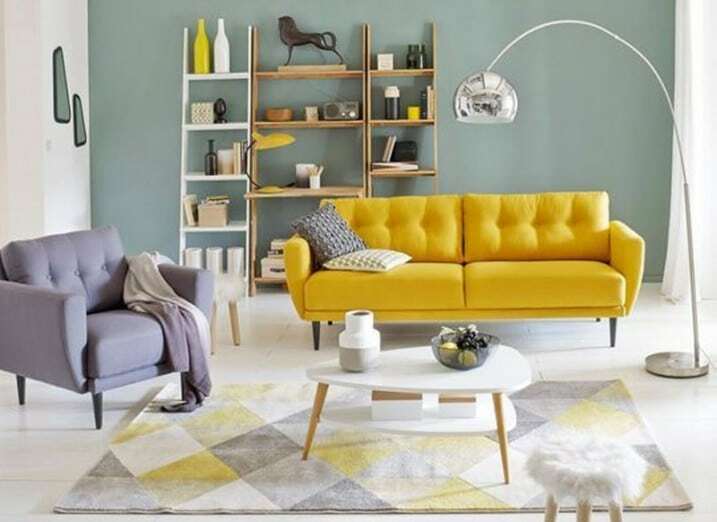 The yellow combinations shown below will give you an inspiration on how to transform your living room into a bright room where there is always sunshine. The following picture shows how yellow color has been used judiciously. 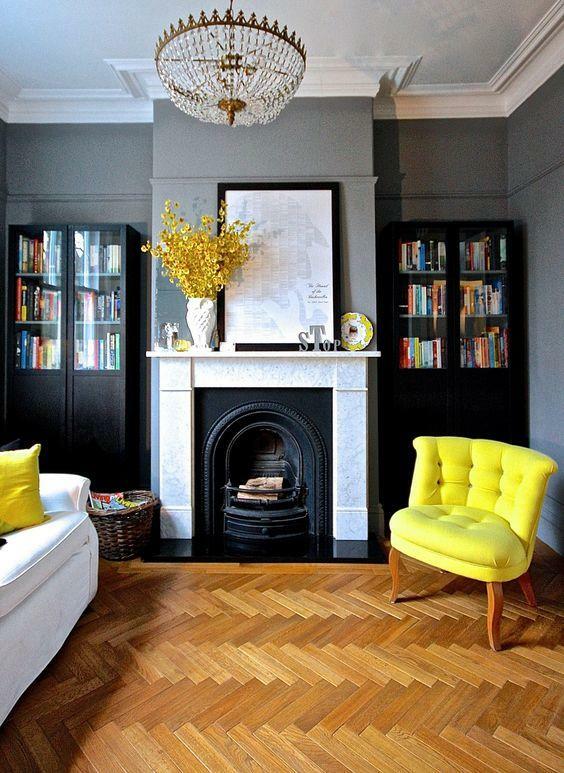 This living room features some very smartly arranged yellow furniture ideas and accessories. It is a nice way to spice up the light gray sofas, the wall paintings and frames just adds to the theme beautifully. The use of home decor yellow is not too much here and care is taken that it blends well with the surroundings. Even the yellow colored flower vase when combined with the green plants makes the area bright and cheerful; full of life and energy. The furniture color here is light and dull, so to brighten up things yellow color cabinets and cushions are used. There is not much emphasis on yellow furniture decors. The carpet with a yellow border and a few yellow decors here and there adds sunshine to the room. 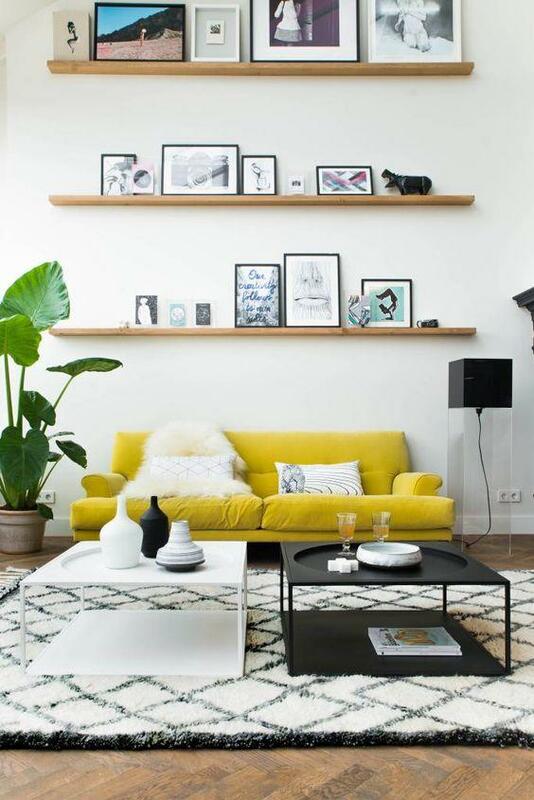 The yellow sofa is a perfect combination for the white and black carpet and wall color. Even a single yellow item has changed how we look at a room. The yellow sofa has brought a lot of color to the otherwise regular looking living room décor. 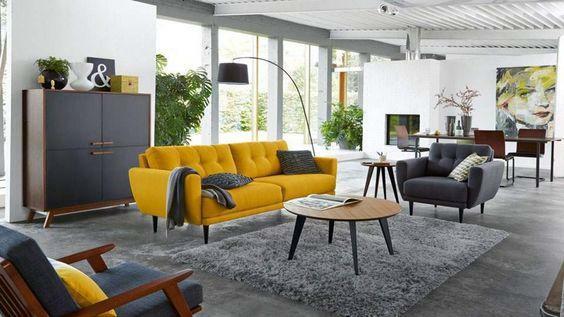 The yellow color sofa adds brightness to the gray surroundings. Even a small yellow strip on the carpet and a few yellow colored shelves adds cheer to the otherwise grayish background. The use of yellow on the kitchen walls adds sunshine to the white kitchen cabinets and doors. 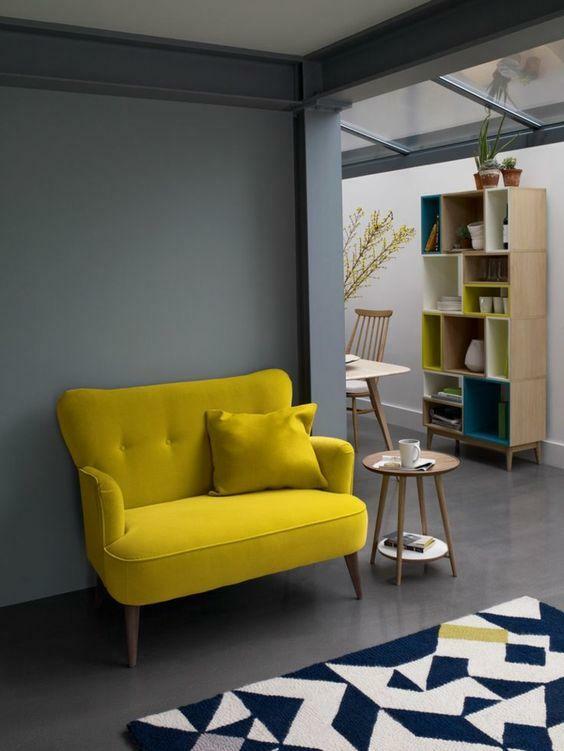 The yellow cushion on the sofa along with the other pastel shade cushions improves the overall appearance of the small living area. Yellow color sofa, cushions and the light yellow color curtains on the doors makes the room very inviting and full of life. The yellow color décor in this room brings a lot of positive energy and is a perfect combination for the gray background, especially the trophy. The room here looks like a laboratory with large dark gray colored shelves and light brown tables. The home décor used to design this room are very unique and dark, especially the carpet. The yellow chair, lamp shade and the telephone are very cleverly used to add enough brightness to the otherwise dark room. What a beautiful color to display the trophy! 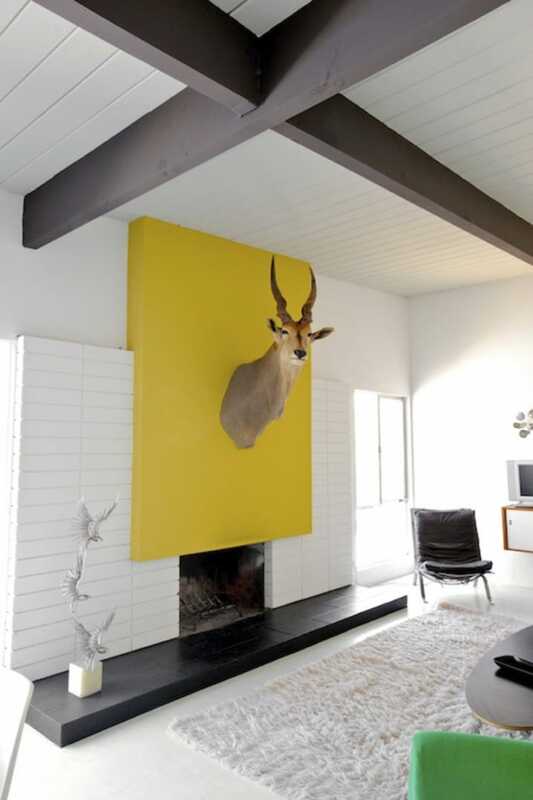 The yellow color frame immediately takes your attention to the trophy whenever you enter this living room. The yellow is good combination to the brown trophy and the white walls and carpets. A great contrast to the otherwise white background. This room is modern with good use of colors to brighten the area. The yellow sofa stands out in the living room. Combined with the gray single sofa, the yellow colored decors like vase, table lamp adds a nice welcoming feel to the house. Even light yellow designs on the sofa add a lot of cheer every time you enter the house. 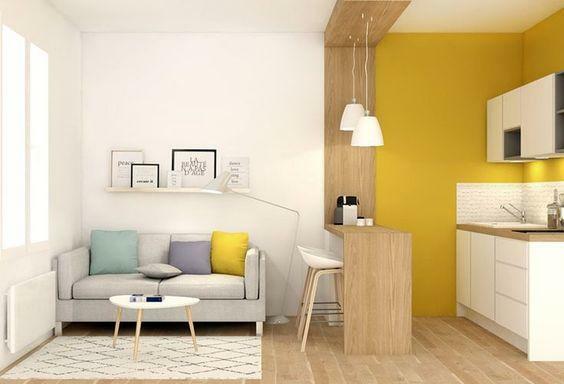 Good use of yellow, gray, white, blue and light brown in this room. 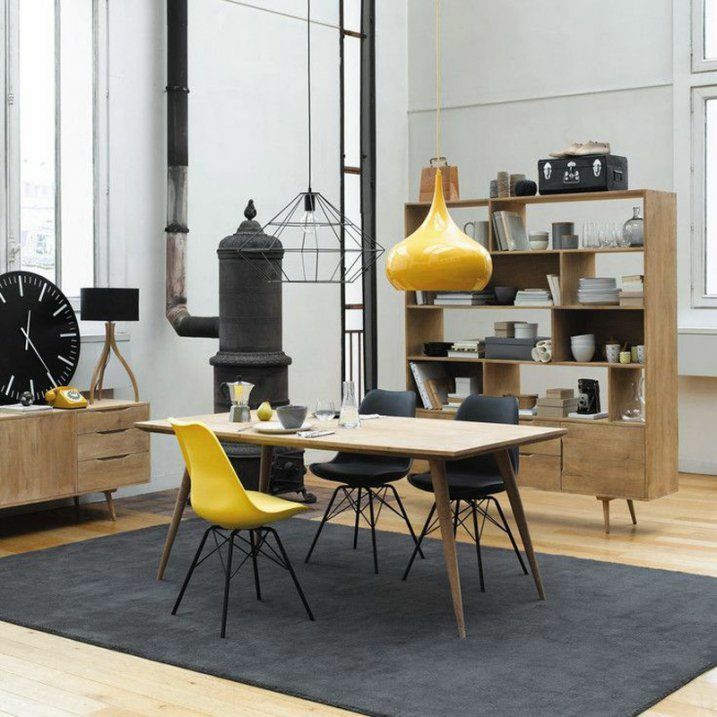 The yellow furniture ideas are very few here, but even they are capable of bringing in a lot of happiness and energy to the otherwise regular looking room. 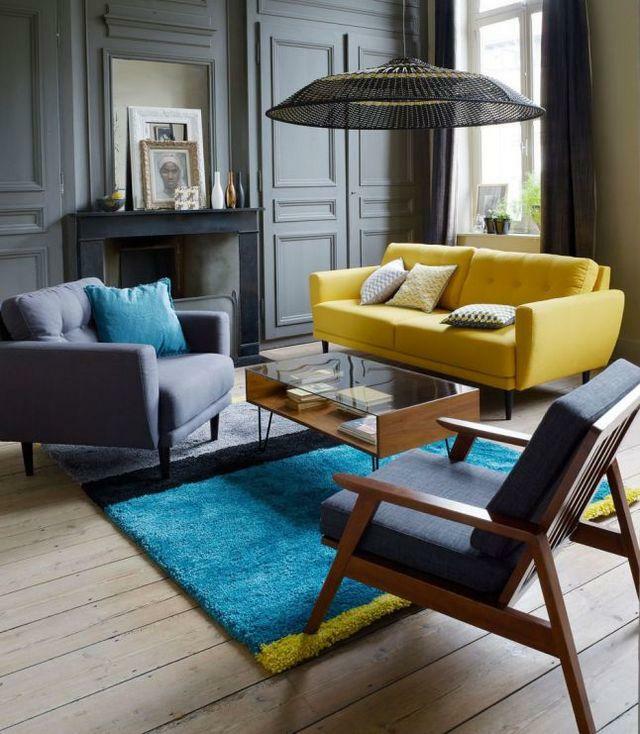 The use of dark colors is ample in this living room with most home décor items in dark gray, black and in blue. 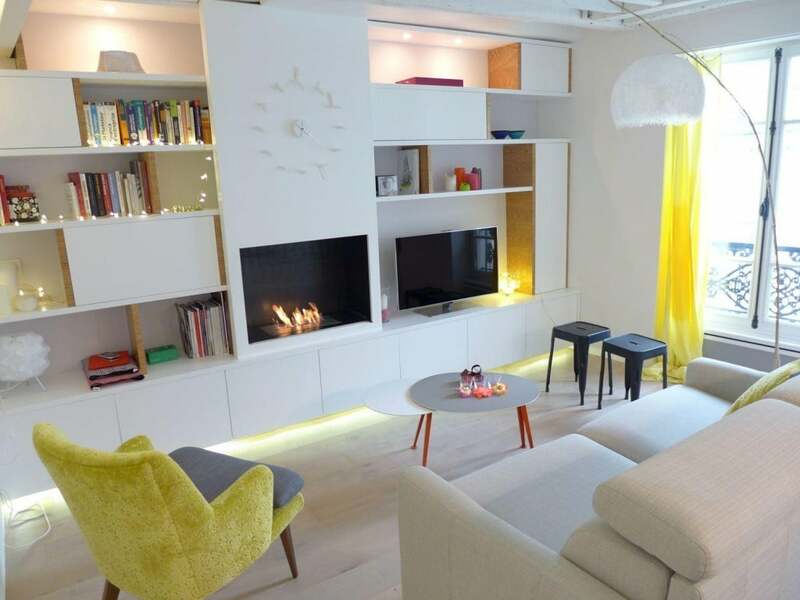 The yellow color sofa used in this home décor is a welcome relief to the eyes. This area is a good mix of modern as well as retro, with nice use of colors everywhere. The books and the colorful sofa add in a lot of color and brightness to the room. Yellow décor has been cleverly used to brighten things up. The colorful doors here are just amazing! Even though this may look unusual there is always some risk, but the interiors and furniture inside this house has eliminated all those risks. Good use of mirrors and light to even things out. The warm yellow colored curtains and chair has brought a lot of balance to the otherwise bright room. 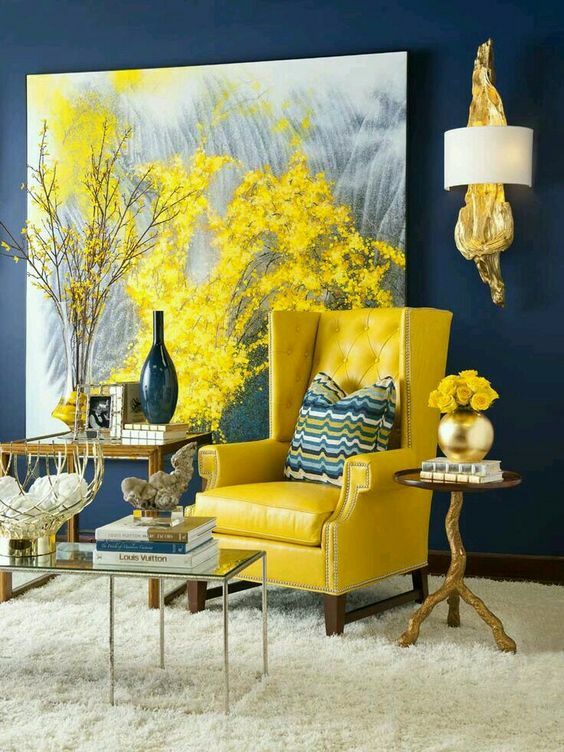 Even though the use of yellow in the décor is very minimal, it still ensures there is enough to cheer about. This room is a strong example of how a yellow décor can transform a room. The artistic home features and the smartly arranged home décor yellow accessories is the best way to spice up the gray interior. The painting completes the theme. When choosing yellow color for home décor, draw a lot of inspiration from the nature itself. The nature offers a wide palette of yellow that can be subtle and bright. A yellow colored wall adds a lot of elegance if the tone is a step or two up from the white.